New Zealand Vintage Computer Forums • View topic - Edit: found one! EDIT: This is now sorted! Thanks for all the replies! Hi guys, I decided to go in a bit of a different direction for my DOS rig. I'm seeking a small form-factor Pentium with MMX (essential) or maybe early P2 (100~300 MHz) or K6 with some RAM, a VGA card, etc. The only caveat is I need ISA slots! Two minimum but three would be better. And I reeeeeeeally don't want a big tower PC with a bunch of noisy fans & high electrical draw. Something that runs with no fans would be awesome! 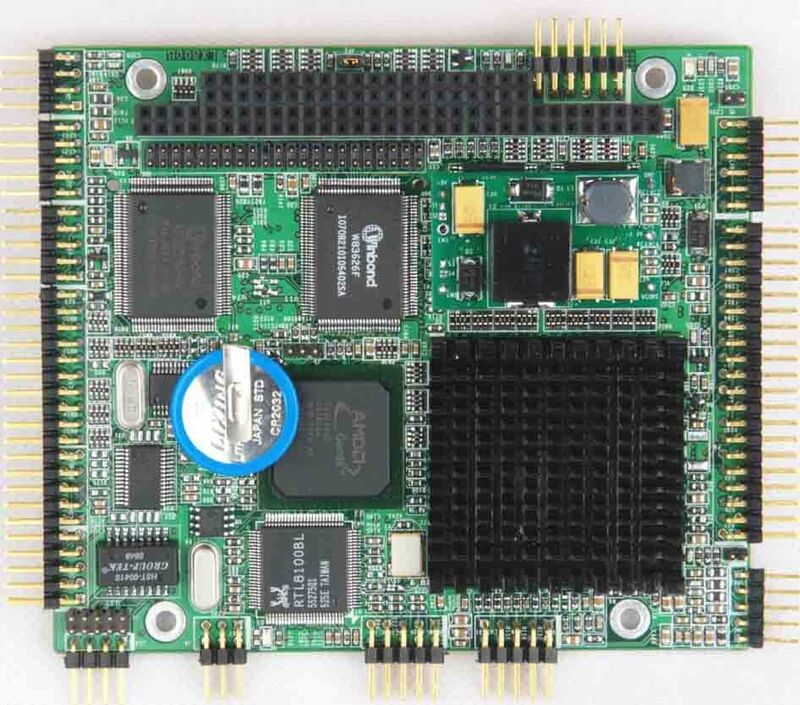 Alternately, I'd love to find a single-board PC/104 system in the same vein (something like this) and an ISA riser card that plugs into the PC/104 bus. I've used these for work in the past and they were pretty neat little pieces of gear, but it seems most suppliers are tailored to industry and refuse to sell quantities of 'one' to us plebs. Also I don't want to pay an arm and a leg for this thing. Anyone have a suggestion where I might look for these? Maybe a corporate liquidator? The other thing I need is a Soundblaster AWE32 or AWE64. ISA obviously. The more RAM the better! Prefer to pick up in Auckland. Let me know what you have. Last edited by xjas on Fri Jul 12, 2013 7:47 pm, edited 2 times in total. I think my brother may still have an old ex-lease Digital P200MMX small form factor I got him ex-lease around 10 years ago. From memory it takes PC66 SDRAM and I put about as much in as I could. I'm sure you'd be welcome to it, but the problem is it's in Invercargill, not Auckland! ^^ Thanks for the offer! However, to my great surprise, a single-board embedded PC meeting my EXACT needs popped up on Trademe just after I posted this. So I bought it. Assuming it's working as described when it gets here, I think I'm sorted for the computer itself. You want an AWE?! You'd be bloody lucky! I have *one* AWE32 but I am very much not parting with it - it's going in my own DOS rig. What I do have spare however is an HP-spec SoundBlaster 16 PnP (SBPRELUDE) card and the EMU8000 (GOLDFINCH) standalone card. It uses two ISA slots for the pair, yes, but it also is not nearly as long as a real AWE32 and you still get that glorious EMU8000 sound. That combo I would be prepared to part with for a fair offer. I think I've still got a number of old generic Yamaha-based ISA sound cards out of old TL Systems machines though. Didn't realize they were that rare these days. I've got at least two of them in storage overseas (as well as an Interwave-based GUS PnP Pro, now that is rare!) Unfortunately they are not helping me at the moment as a flight to Canada and back to retrieve them isn't really cost effective. Carcenomy, I'm very interested in the SB16+EMU8000 setup. I'll send you a PM. I was going to mention if you were after ISA boards for your project, there's a pile that popped up on Trademe for load of assorted cards. Ya, I saw those. He wasn't too forthcoming with info when I asked him what the soundcard in one of the pics was though. If he took a few minutes to go through each pile and list what the cards were I might have been interested, but no details = no bid. It's an ESS AudioDrive btw, I have piles of them. AudioDrive?! I would barely give a dollar for an AudioDrive, even a SoundBlaster ViBRA16 is a more compelling purchase. haha, I'm not a huge fan of the Vibra. As far as clones go, those ESS based cards actually do surprisingly well - the motherboard or cost-reduced-card versions are terrible though. Just ordered myself an AWE32 from the Czech Republic. Cost delivered was around $US45. There is a few more on there too. If the OP is still hunting, I'd recommend looking there.